If you want to work with high-tech equipment and cutting edge technology, getting your hands dirty at the same time, then an automotive workshop could be the place for you. The automotive industry is an exciting and varied industry to work in, with a huge diversity of well paid career positions available city and country wide. 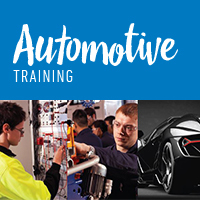 Training in the automotive industry will give you the skills you need to dri​ve a rewarding career in what is a global industry.